You can find on this page the map of London suburban train, the map of London overground, the map of London DLR, the map of London Crossrail, the map of the South West Trains, the map of the First Capital Connect, the map of the Southern Railway, the map of the C2C, the map of the First Great Western, the map of the Chiltern Railways, the map of the Abellio Greater Anglia, the map of the Southeastern Railway and the map of the Heathrow Connect. 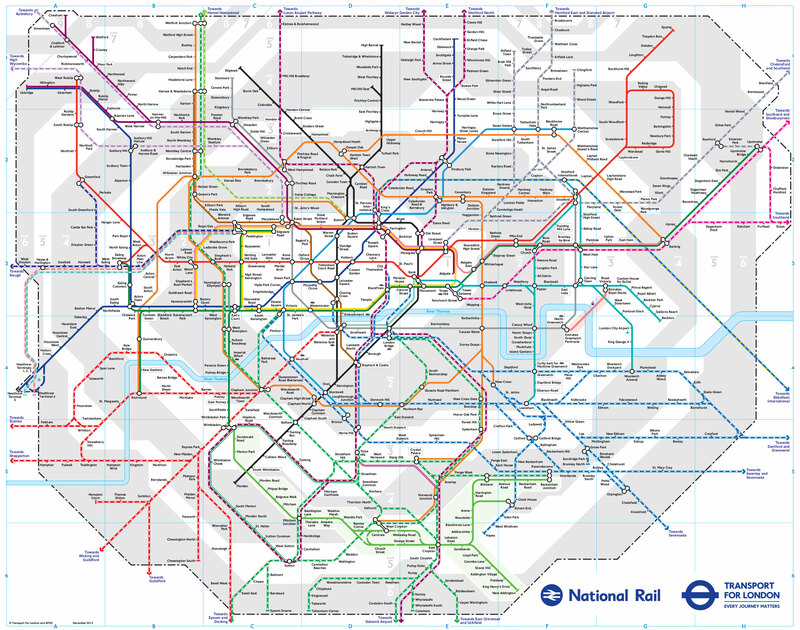 These 12 urban, suburban and communter train networks are a transit system serving the city of London (United Kingdom) with the tube, the tram, the bus, the nigth bus or the river bus. These 12 commuter train networks have 52 lines and 1,325 stations forming a rail network of 2,671 miles (4,300 km). 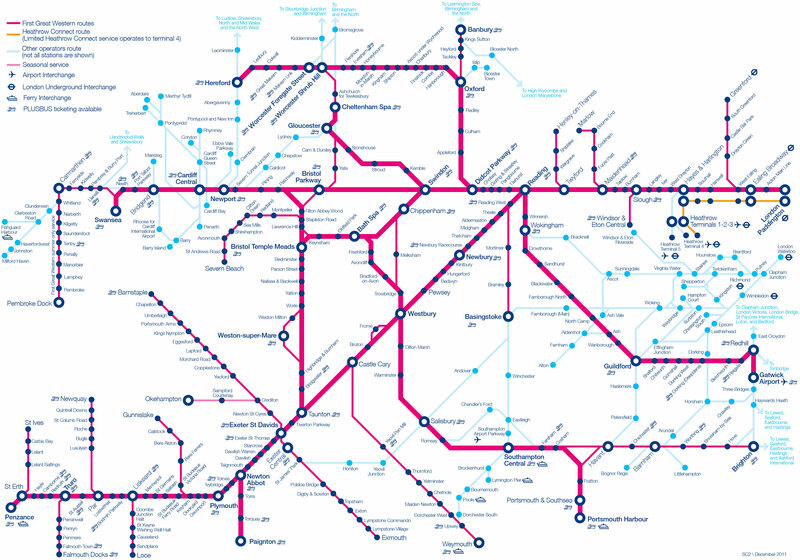 The London urban, suburban and communter trains network is gathering several train networks. 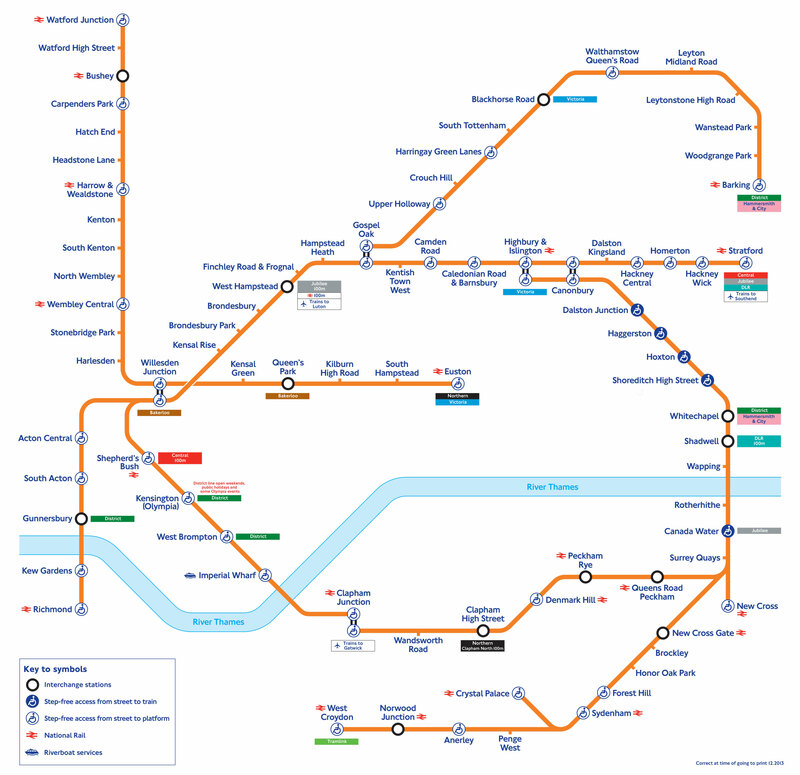 The London Overground which transports 124.6 million passengers per year, exists since 2007 and is operated by the TFL (Transport for London). 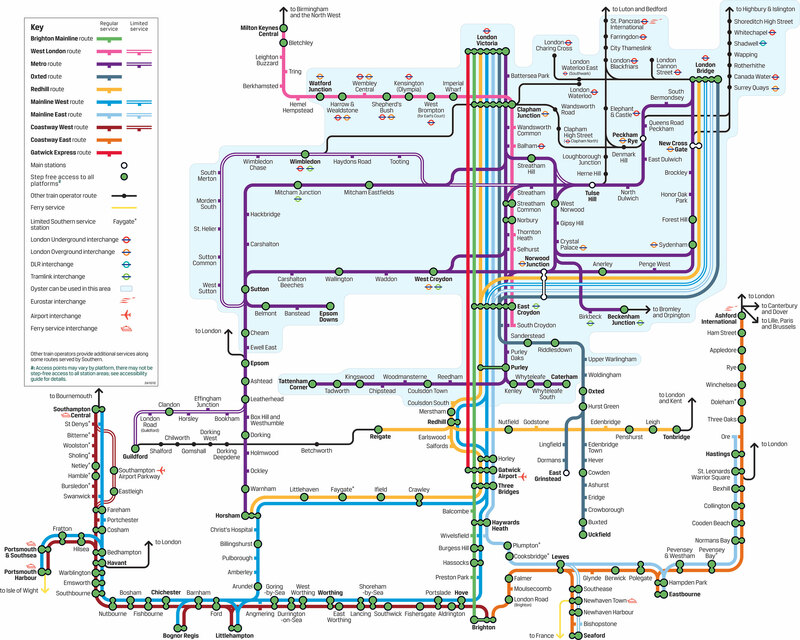 Its network of 84 stations and 53 miles (86 km) includes 6 lines. The Docklands Light Railway (DLR) which transports 100 million passengers per year, exists since 1987 and is operated by the TFL (Transport for London). The Crossrail, an urban & suburban train in construction, will open in 2015 and will be operated by the TFL (Transport for London). 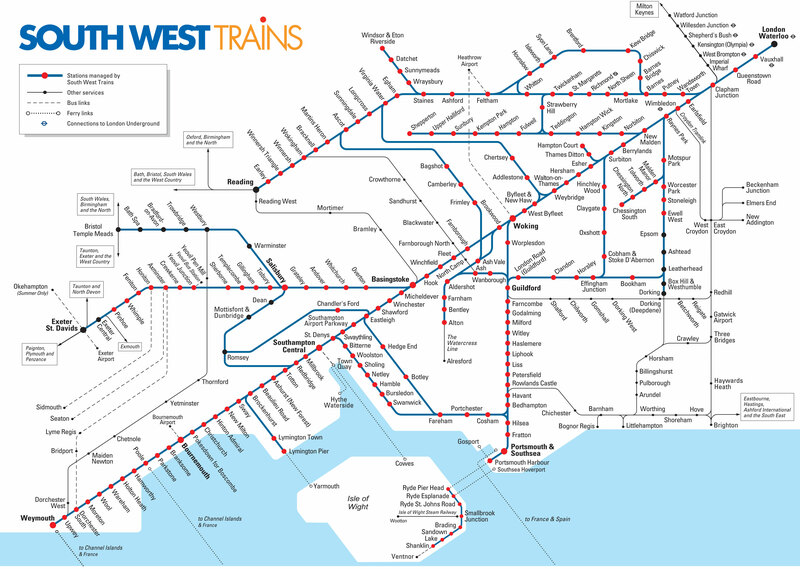 Le South West Trains est la franchise South Western depuis 2007 et est exploité par Stagecoach. Son réseau se compose de 213 stations. 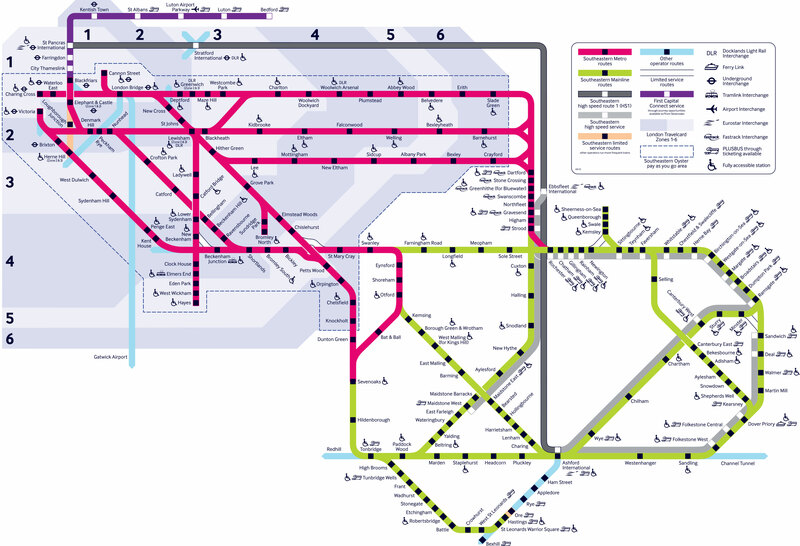 The First Capital Connect which transports 3.2 billion passengers per year, is the Thameslink Great Northern franchise since 2006 and is operated by First Group. 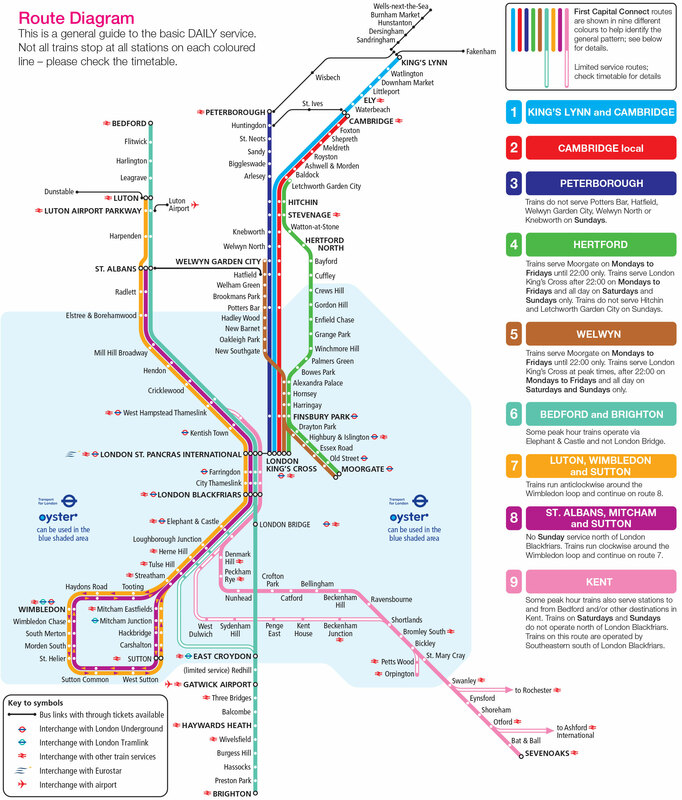 The Southern Railway is the Network SouthCentral franchise since 2009 and is operated by Govia (Go-Ahead and Keolis). The C2C which transports 916 million passengers per year, is the Essex Thameside franchise since 1996 and is operated by National Express. The First Great Western which transports 4.9 billion passengers per year, is the Great Western franchise since 1998 and is operated by First Group. Its network includes 208 stations and 1,322 miles (2 129 km). 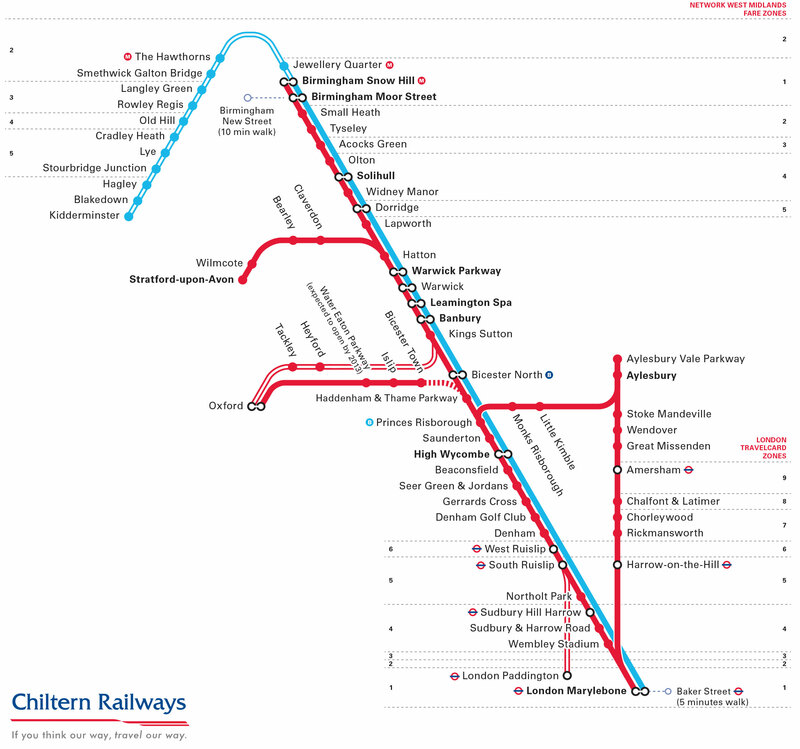 The Chiltern Railways which transports 897 million passengers per year, is the Chiltern Railways franchise since 2002 and is operated by Arriva UK Trains. 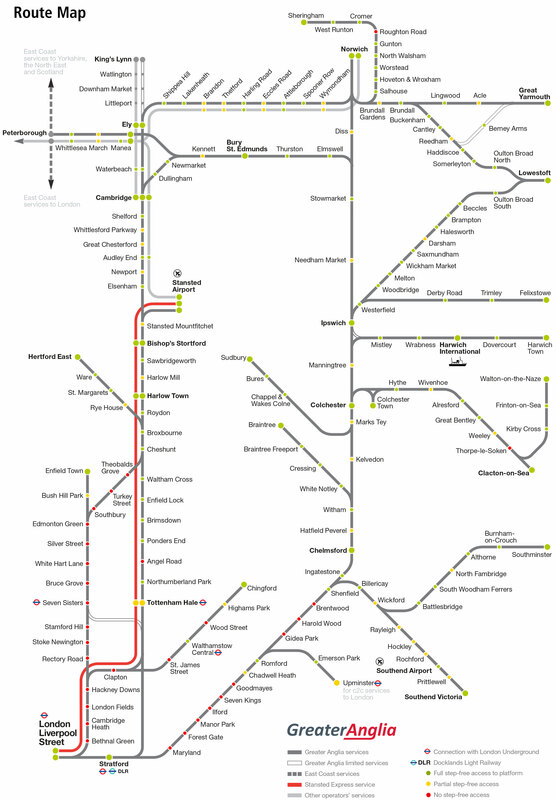 The Abellio Greater Anglia is the Greater Anglia franchise since 2012 and is operated by Abellio. Its network includes 168 stations. 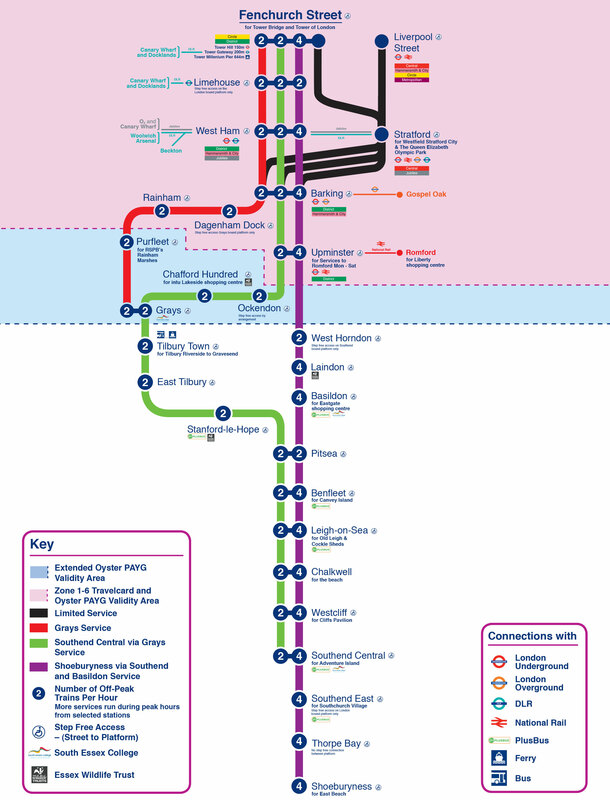 Heathrow Connect is an urban train line linking Heathrow Airport to central London existing since 2005 and operated by First Great Western.